Now this is the fun part! This is what you’ve been waiting for ever since you dreamed of becoming an actor, because auditions are the gateway to work! Sure, sometimes you get your usual sides which you can prepare and perform and that’s that… but sometimes, and this happens a lot with adverts, they just throw you in the deep end. They’ll tell you more or less what it’s about in the brief but you won’t know exactly what you are doing for the audition until you get there! You need to show your creativity and personality, at the end of the day, that’s what counts. I’ve had to do the craziest things – from taking selfies with complete strangers to partying it up with your “best mates” (who you also just met) and you just have to stay cool and do your best. You really don’t always know what to expect. But always give your all, even if it seems like a lost cause, because you never know who’s watching! I got my first advert by doing an audition I thought I completely screwed up. I couldn’t really understand what the casting director was saying through his accent and I ended up doing exactly the same thing in my second take as I did in the first take, which was what he didn’t want. But get this… I got a call back for the advert, but not for the role I had auditioned for! They wanted to see me for a higher paying role with more feature in the same advert. That was fantastic! What made it even more unbelievable was the fact that that role was meant for a man of colour between the ages of 35 and 45, hardly the description to my pasty, young, 25 year old look! But I got the job! One thing to remember is that auditions come in seasons. One month you’ll have so many auditions to attend that you can barely keep up, and for the next three months you’ll have one audition per month. The ratio for booking jobs is about 1 to every 10 auditions that you do, so keep going, even if it feels like you aren’t getting call backs, they will come! This also means that you’ll have to have another skill or job while you are trying to get to the top, but I’ll elaborate more on that in my next post. Make sure you take a ton of energy and personality with to your audition. There’s nothing worse than looking at an actor who looks like he doesn’t want to be there! They respond very well to someone who makes an impression though. I’ve gotten many call backs for auditions I don’t necessarily fit the brief to, but because I had personality and “something” to me, they could see that I’m not just another wanna-be, but a professional. Also greet everyone who works there or looks like they might help out somewhere, that creates a very good impression as most people just walk in and ignore the directors and crew. They’ll remember you for it. Being able to work well with someone is almost more important than hiring someone who is a fantastic actor, but a nightmare to work with. Don’t be freaked out by the amount of people at a casting! I was so shocked when I went to my first few castings and realized just how many actors there are in Jozi. At school it’s always just a hand full of dreamers and half of them drop out anyway so you don’t expect it and for the first time you realize that you aren’t THE person anymore but just another number, literally! But don’t let that stop you from going all out in the casting, because what you might consider as the perfect person for the job, sitting across from you with “everything”, they might not be the person the casting director is looking for… It might very well be you, with your quirky facial expressions that bring life to the camera! 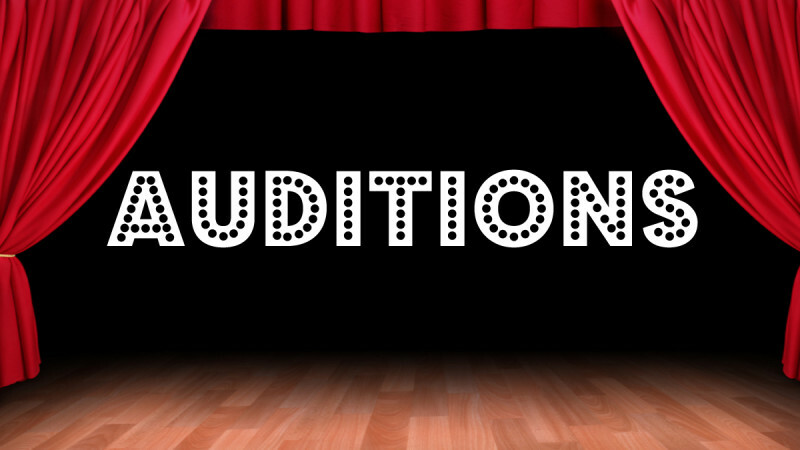 The more you audition, the easier and more comfortable it gets. You just have to get used to the process. You also get to form relationships with the casting directors. They will start to notice you sooner or later and give you an extra chance to shine if they like you. Some casting directors even know my name! Am I just a number anymore now…? I think not!